Business processes and operations must be reviewed periodically, so as to find the possible scope for growth, expansion and improvement. However, profit figures, sales numbers and in-house meetings don’t always indicate the actual problems, especially the wasteful activities. Since everything happens in operations, managers need to go to the actual place of operations, talk to people, find visible problems, and identify the areas that need attention. Gemba walk is a form of lean management philosophy, which involves walking around the workplace and doing the exact same things we just mentioned. Here are some more aspects what knowing. What is involved in a Gemba walk? A Gemba walk is about observing processes and flow of work, and not people. The idea is to view and check every single step in the work flow process, so as to find aspects for improvement. Gemba walk is a collaborative exercise, which is conducted by managers, but every single worker and employee has a role in sharing insights and details. 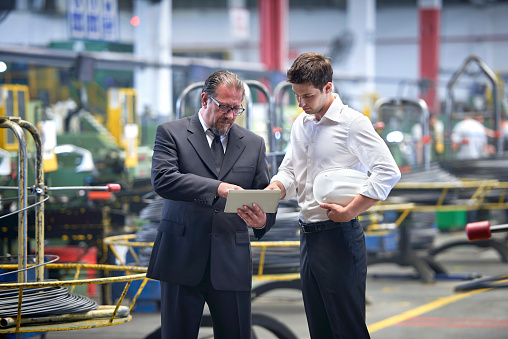 There are no fixed rules as how to conduct Gemba walks, but the idea is simple – Avoid being bossy and ask as many relevant questions as possible. Never ever treat the Gemba walk as a means to evaluate the work of employees. They should not be instructed, asked to take corrective action as the Gemba walk is on. It must be an observational process, where every member of the team should be involved. Managers can take a team along, but the team should not be a big one. The actual Gemba walk shouldn’t also disturb the process of work. For Gemba walk app and to know more on this, check online now.